Maintenance and Inspections: How Often Should You Do Them? Home » Maintenance and Inspections: How Often Should You Do Them? Your roof is exposed to constant wear and tear from day one, so it only makes sense to keep an eye on its condition as often as you can. In addition to scheduled roofing maintenance, roofers like us recommend regular inspections. Let us give you a detailed look at the importance of both and how often they should be done. Think of scheduled maintenance as the equivalent of an annual physical. When you visit your physician, a full set of tests are performed, after which you receive recommendations on what to do for the rest of the year: avoid certain kinds of food, get quality sleep, more exercise and so on. You’re expected to follow the physician’s advice until your next visit. In principle, scheduled roof maintenance works the same way: roofing contractors perform a thorough inspection of your roof. At the end of the day, you receive a full report of your roof’s condition, along with recommendations on what to do with potential problem areas. Depending on the kind of roofing system you have, roofing maintenance can be as often as once a year, to every three years or so. Roofing inspections, on the other hand, are the equivalent of following the doctor’s orders, in that you keep tabs on your roof’s condition. This is done more frequently than scheduled maintenance, ideally every six months, plus another after every storm. Conducting your own roof inspections is pretty straightforward and since you are not required to climb the roof, it will not involve risks to your safety. On a clear day, take out a good pair of binoculars and inspect every inch of your roof. Start with areas that are vulnerable to wind and rain, such as roof edges, valleys and protrusions—basically all areas that require flashing. Then check the main roof area and look for signs of damage or aging. Make sure you carry a notebook so you can take notes; you will need to let your roofing contractor know about these issues. Scheduled maintenance and regular roofing inspections can help keep your roof healthy and reliable. 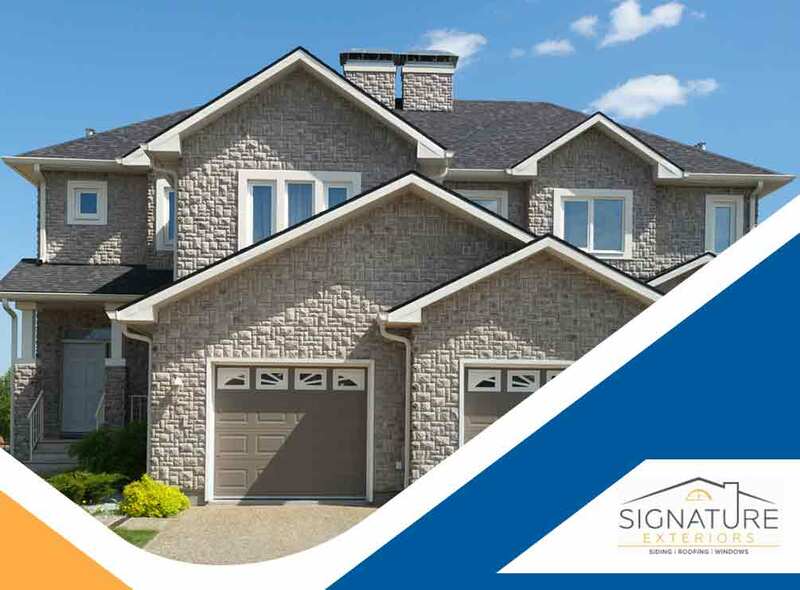 To learn more about our roofing services, call Signature Exteriors today at (866) 244-8029. You can also fill out our contact form to schedule a free quote. We serve Stamford and the surrounding areas, including Yonkers, NY and Norwalk, CT.